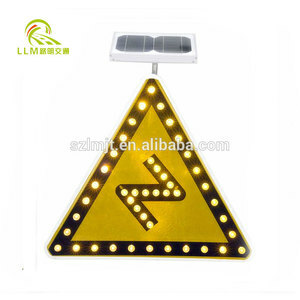 Solar LED road reflector signs We can do any signs according to :size,figures,language,your national standard etc. Technology Information: Weight 6.5 KG Dimensions 600*600*65mm Solar panel Voltage 12v Power 3.5w Material Mono- crystalline silicon LED Type Epistar brand, Dia 5mm Color Yellow / white /red/blue/green Battery Type Anti-high(low) temperature Li-ion battery Capacity 6.6AH Voltage 7.4 V Working environment Temperature -25 &deg;C~ + 75&deg;C Protection level IP65 Material Aluminum board and 3M engineering Reflective sheet Visibility &gt; 800m Work ing time More than 72 hours after fully charging Control mode 12 hours or 24 hours by light Sensor Certification CE Payment term: 1.30% in advance,70% before delivery. 2.L/C if the total cost amount $100,000 3.By western union or Paypal for sample Delivery time: 1-10units within 3 days after order confirmed 11-30units within 7 days after order confirmed 31-50units within 10days after order confirmed &gt;50units and add 3 days for each 10units Why Choose Us: *10 years Manufacturing experience *Accept OEM/ODM *Double check QC system *Audited by SGS company *CE approved Packing details: GW:7.5KG Carton size:650*650*130mm Quantity:1pcs/carton SGS certificate: Thanks for your time,Kindly let us know your requirement,Thanks in advance! Q : Road reflector signs s amples for free or not9 A: We supply free samples,but clients pay freight cost. Q: When happen to quality problem,how do u solve for clients9 A : Clients supply pictures and small samples for production department. After confirm it is our quality problem,we can supply the same amount as a Q : What is u competitive advantages9 A: Our salespeople have experience in foreign sales more than 6years. Shandong Ganhong Auto Parts Co., Ltd.
Baoding Victory Photoelectricity Powered Technology Co., Ltd.
Linyi Dibai Commerce And Trade Co., Ltd. Item Metal Sign Technique Plating Material Aluminum,Brass,Red Copper,Bronze,Alloy,Pewter etc. Design Customized logos and designs are welcomed Application Safety, Advertisment, Warning etc. Packing Each piece with an OPP bag or your package request Sample time 5-7 Days We offer more styles on our websits. 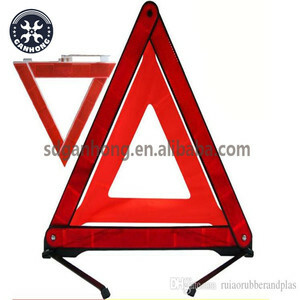 Alibaba.com offers 1,364 road reflector signs products. About 1% of these are electronic signs, 1% are led displays, and 1% are other advertising equipment. 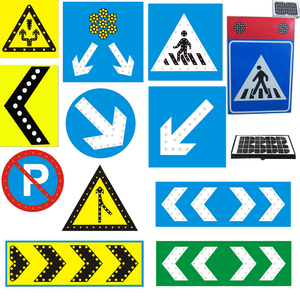 A wide variety of road reflector signs options are available to you, such as plastic, wood, and pvc. You can also choose from free samples, paid samples. 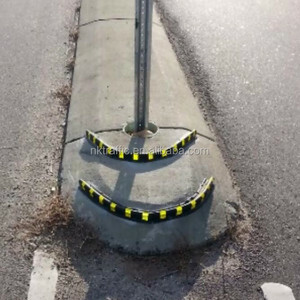 There are 1,360 road reflector signs suppliers, mainly located in Asia. 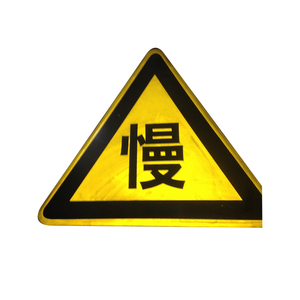 The top supplying countries are China (Mainland), Taiwan, and Philippines, which supply 99%, 1%, and 1% of road reflector signs respectively. 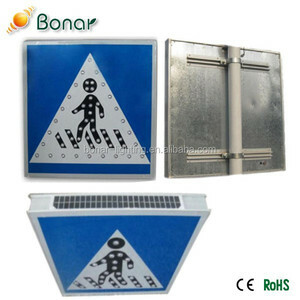 Road reflector signs products are most popular in North America, Domestic Market, and Mid East. You can ensure product safety by selecting from certified suppliers, including 238 with ISO9001, 192 with Other, and 12 with ISO14001 certification.